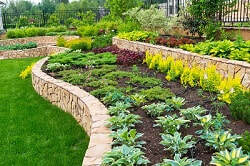 Landscaping is where you start with a garden. It's the bones on which to build the flesh and if you get the skeleton right, then your garden will flow and be a pleasure to own and to live with. If you're imaginative or artistic, you can plan the entire garden yourself, but if you need some help, we can make suggestions or work with a professional garden designer to ensure you end up with a garden to be proud of. Even if your garden is tiny, you can add structure and interest using a curved pathway or a raised bed. Try to think in three dimensions, taking into account height in the garden. This could be provided by trees and shrubs, but if your garden is more sparce you could think about incorporating raised beds or a decorative wall. If space allows, a garden deserves a "secret area" where you can delight visitors with a hidden space that comes into view as you meander through the area. Children in particular love to hide away in their own little grotto. Sometimes you can convert a large and unwieldy shrub into a camp by taking out some of the internal branches and making space for the kids to have their own secret space. Or perhaps you're lucky enough to have a large tree where a tree house could be built. These projects will encourage children to spend a lot more time outside in the fresh air and may give you a little peace and quiet! Start by looking at what you have in the garden that you want to retain. Or if you have a new garden with no features whatsoever, take into account your boundaries - are they fences or walls, or open? Those are the things you probably can't change so work with them to enhance or even hide them if you wish. If you have mature trees and shrubs, you may wish to retain all or some of them and they will help define your garden. It may help to use a programme to plot everything or perhaps you have the kind of imagination that can picture everything from the start. 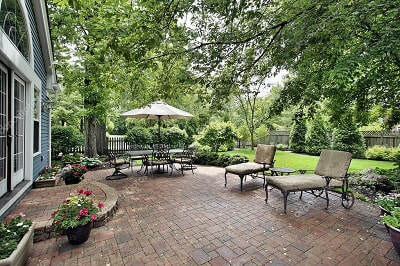 Think about what you want to incorporate, patios, decks, hidden areas, rockery, barbecue, garden shed, arbor, gazebo? If you know what you want from your garden you can add all the elements, shuffle them around and keep going until you have the best layout. Bear in mind it may not be perfect, but you have to work with what you have to come up with something that inspires you. Some people find that drawing out the garden then using cut-out features to move around helps them visualise the layout. Or use one of the programmes available on the internet. 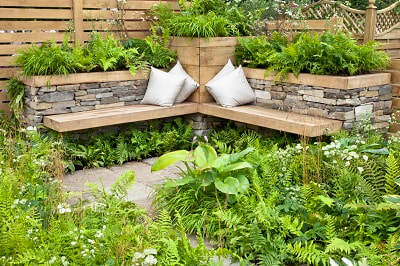 At the planning stage, bear in mind where the sun rises and sets and when you want to make most use of your garden. If you love the sun in the morning for an outdoor breakfast in the summer, then plan accordingly. 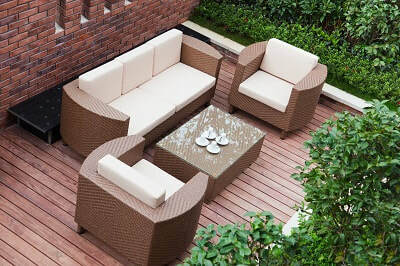 If your house shades the garden most of the day, think about adding a seating area at the other end of the garden where there's more sunlight. This is important because there's nothing worse than planning to have sunny afternoon teas only to find that the patio area is always in the shade! If you've lived with your garden for a while you'll know the best spots, but you may be caught out if you've moved into a new property and haven't worked out its orientation. Something that many people fail to take into account is how much work they want to put into gardening. If you love to potter and prune, enjoy the odd bit of digging and weeding, then you'll want a different design to the person who hates anything to do with work in the garden! If you hate gardening but still want some colourful flowers, consider shrubs or raised beds which can cut down your work considerably. Whatever sort of garden and design you choose, ensure you have the "bones" carefully constructed because they are the parts that will need to last a long time. It's far more cost-effective to have everything properly built at the beginning than to have to rip out parts of the lawn and paving to repair faulty workmanship. Enjoy your garden - it could be your sanctuary for years to come. Call 01403 540162 or complete the form for free help and advice about landscaping your garden.